I want to tell you how pleased my wife and I are with the dock your crew installed on our property this week. Their attention to detail and competence was absolutely outstanding. They explained everything and followed through with a very professional job. And as a real plus they did not make a mess of our property. My yard was left totally undisturbed. The only thing they left behind was a great dock. They were so polite and informative that I can honestly say that dealing with them was one of the best experiences my wife and I had living in Southwest Florida. I would not hesitate to recommend your company to anyone who is contemplating having a dock built. 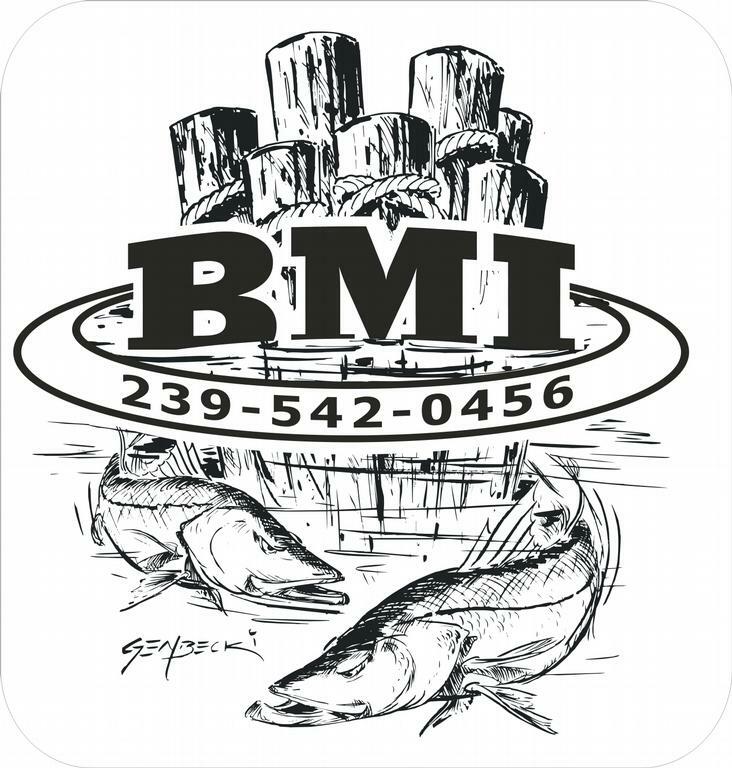 BMI did a great job in building my dock. They were very helpful in both the design phase and the actual building of the dock. All of front office and construction personell are professional and knowledgeable. Most construction companies have very little contact with the customer once you sign a contract or the job is over, however, BMI has exhibited a warm, friendly and cooperative attitude. This is to thank you for the excellent job your firm did in the construction of our boat dock in Cape Coral. As you know we accomplished an extensive remodel to the property, both inside and out, and the dock was the highlight of that project. Our expectations were exceeded! Not only was the dock completed to our satisfaction, but we are entirely pleased with the design ideas, materials, and quality your team brought to the process. We now know why you came so highly recommended. Thank you again for your work, and please extend our appreciation to the crew who completed the job on time and within budget. Please feel free to show your work to prospective clients. It has been a pleasure working with your company. You've been very helpful from the start of our project right through to the end. Your craftsmanship is excellent, and we have a dock we are proud to show to any future customers who want to see what your finished product looks like. You have been timely, available to us amd always professional. Both my husband and I want to thank you for all your help in designing the perfect dock for us. We had and idea of what we wanted, but you made our dock a very special place. It's more than an ordinary dock! We use it not only to entertain, show off our new home, as well as for storage of a boat. I still remember when I said I wanted to add a tiki hut later" how much I have learned since that time with your expert advise. Who knew the tiki pilings are part of the dock? Your employees are very professional and were a pleasure to have had working at our home. They were also prompt, kept the area clean and completed the job when promised. We now have a dock that enhances our property not detracts from it. As a professional realtor I see many docks that have turned away buyers from potential homes. We have grown equity in our property from this lovely dock. Thank you again and we would be glad to recommend your company to anyone. My wife loves this dock! It was supposed to be a surprise, but she was able to come down early. She actually enjoyed watching it being built. Great Job. Excellent experience! It was wonderful that you answered all of our many calls to you before and during the construction of our new dock. We appreciate all your hard work and attention to detail. Thank you for a job well done. Good Job - You said the work would be completed by Friday. It was! Thanks to all the guys. The men did their work promptly and cleaned the area well. Thank you for your assistance! Thank you for sending such a great crew to do the job! It was a pleasure to have them here!